As much as I look forward to this day, I’m always amazed when the day actually arrives because it seems like just yesterday October 1st began. How is it already Halloween?? Of course when you’re a kid, time seems to drag on and on…but once you’re older, time moves so fast. Halloween still excites me as an adult. I know some people either still really enjoy and look forward to Halloween, or they hate it and think it’s a day for kids. While it is a day for kids to get dressed up in their costumes and go door to door trick or treating, I think adults can still celebrate the magic of Halloween. It sounds kinda cheesy, but for me, I’ve always looked at Halloween as a magical fun holiday if you will. While I don’t go out trick or treating of course, nor do my husband and I have little ones to take out, I love a night of scary movies and handing out candy. I love seeing the neighborhood kids in their costumes and seeing how excited they are. That used to be me at that age and I remember how I couldn’t wait for this day/ night to come. I’m a little disappointed that I didn’t go to any haunted houses or pumpkin patches this year. No fun hayrides, either. We planned on doing all those fun things this year, but it never worked out and now it’s already Halloween!! 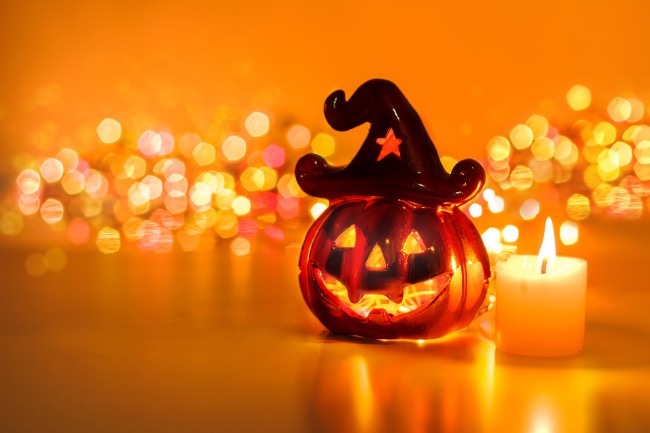 What are some of your Halloween memories? Any plans for tonight? Did you dress up this year, or do you have kids that are dressing up? Let me know.